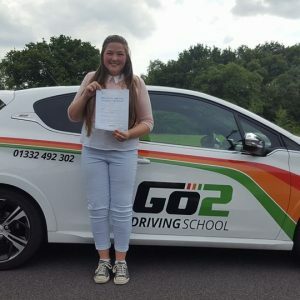 Congratulations to Holly Gibb from Oakwood, Derby who passed her practical driving test on the 14th of June at the Derby driving test centre. Holly will now be able to visit friends on her own accord as well as being able to drive there in her own Vauxhall Corsa. Well done Holly! 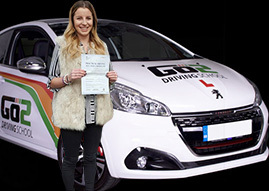 Best wishes from your driving instructor Matthew Durrant and all here at Go2 Driving School.